Your browser may not be compatible with this website. For an optimal experience, we suggest you to download one of these popular web browsers. 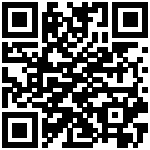 You can also download our mobile application by flashing this QR code with your tablet or smartphone.